Nathan has been an aspiring mountain man since as early as he can remember. He was born in Nepal, in the foothills of the Himalayas, and grew up exploring the lakes and trails of New York’s Adirondack Mountains. A passion for understanding the wilderness areas he grew up in led him to pursue a degree in conservation biology at Principia College, in southern Illinois. Since graduating in 2014, he has lived and worked in Nepal, New York, Colorado, Washington State, and Utah. Professionally, he has held a wide variety of roles promoting conservation and stewardship. These include working as a “maple syrup technician” for a natural history museum, an aquatic invasive species educator, outdoor educator, and field ecologist. He has found his niche helping communities build connections with their natural world, and promote environmental stewardship. He loves the mission of Walking Mountains, and couldn’t be more excited to return to Colorado to work as the Community Outreach Instructor. 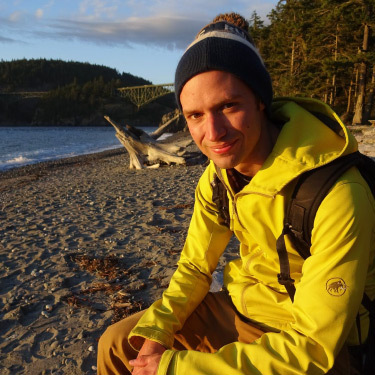 Nathan is an avid runner, and back-country and Nordic skier in the winters. He can also be found on the river, either in a kayak or holding a fly-rod.